It’s too easy to point out weaknesses. Successful leaders know the top three strengths of everyone on the team. Every leader who expects performance learns to maximize strengths and minimize weaknesses. Ask team members to write their top three strengths on a note card before they come to the next one-on-one or one-on-three meeting. Before team members arrive, write their three top strengths, as you see them, on a note card. Include one illustration of each strength. Explore ways to maximize and develop strengths. Conclude with a discussion about insights gained. What are you learning about yourself? Others? #1. Send a list of possible strengths before the meeting. Include your own strengths in the conversation to make it interesting. Have them write your top three strengths with illustrations. Discuss their top three weaknesses at a different meeting. Don’t use a discussion about strengths as an opportunity to bring up weaknesses. Separate the conversations. #4. Adapt this for a group exercise with your entire team. Give team members freedom when they’re working in known strengths. Provide intervention, oversight, and direction in areas of weakness that need to be developed. Develop weaknesses that block the effective use of strengths. A person who is great at analysis may need to develop their decision-making skills, for example. What suggestions do you have for a “Top Three Strengths Conversation”? What additional patterns might you add for successful one-on-ones? Very useful points. I really like the one about not mixing discussion of weaknesses with discussion of strengths. That keeps focus and builds confidence in individuals that may be slow to see their own strengths – if you point out weaknesses at the same time, they’re off like hares concentrating on their own perceived inadequacies! Thanks again for a great post, and speak again soon. Thanks Alison. Glad you noticed the separation of strength conversations from weakness conversations. The idea fits more broadly into the idea that the feedback sandwich is filled with baloney. (Positive – Negative – Positive) Everyone ignores the positives because bad is stronger than good. We should have enough positive performance conversations that the occasional ‘negative’ conversation is taken in stride. The minimum ratio is 3 positives for 1 negative. Hey SGT. Great seeing you today. Woo…. I like it. Thanks for clarifying. I have trouble with connectedness. I know I should work on fixing this, but I have problems with being pushed in with large groups. I can lead, but large groups are intimidating. I would rather lead by example over a small group. Good points. 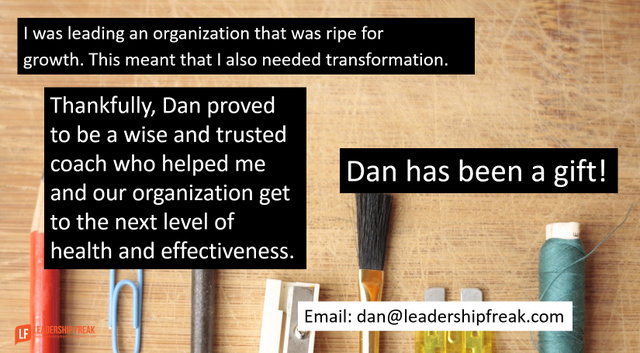 It makes it easier to give people strengths to work in regarding any leadership exercise. Thanks lost. Your transparency and self-awareness serve you well. In order to succeed we need to know who we are and when we function at our best. In addition, it helps to know where we want to go. Great post, like the idea of sending the list out pre meeting and making a group exercise, would be a great ‘icebreaker’, get everyone relaxed, open, break down any barriers, perceived or otherwise. One question, can any leader truly know and remember all their team’s top 3 strengths? Could the size of the team not impact this? If you have a huge team, as some organisations are. Small teams promote, even require, high engagement of each participant. Drifting is more difficult. The two pizza rule points to a maximum number. If it takes more than two medium pizzas to feed the team, the team is too big. Maybe we need a ‘one large pizza rule’. Smaller teams work more effectively, co-operate between each other more or so I have seen. Rather than referring to ‘medium’ and ‘large’ pizzas how about using an ‘actual numeric measurement’. ‘Medium’ and ‘large’ could be translated differently, depending upon where you are – no? Projects may need some flexibility regarding the number of people on the team. 5-7 is a reasonable working number.